Hello there everyone, for those who already know, I am TheCrows and me and my fellow CoDz member Dykeso are doing a thread together, I will be writing it and he will be giving me his parts so I can add them to the thread. This thread will be about Der Riese, the hidden secrets and the Science of Group 935. Any Brains given must be given to both me and Dykeso seeing as we have both submitted our own ideas and thoughts. A new method for producing a tremendous electrical repelling force. This would be the projector, or gun, of the invention. <--- Now it says there that said "Death Ray" has Tremendous Electrical Repelling Force, now hang on a minute, when you shoot the Ray Gun doesn't that Repel you backwards everytime you shoot it? Now that right there could be leaning towards being an early Ray-Gun, but there is more Tesla also gave away in a statement that it would be, and I quote "
The Superweapon to put an end to all wars. Nikola Tesla also stated that he tried marketing said Death Weapon to other European Countries, but he had no success. Now I think that he actually sold it, without telling anyone, to The Giant Project in Germany, otherwise known as Der Riese. So if my theory is correct, Tesla Sold his plans and ideas to Group 935 and Richtofen and Maxis, without alerting any government officials. More thoughts and Theories will be coming tune, but in the mean time, please enjoy what is going to many more thoughts and theories. So please leave your thoughts and responses down below, and remember if giving brains, please give them to Dykeso aswell this was his idea and mine. Dykeso--> The Fly Trap : Some of you CoDz Members may know it, and some of you may not know it . But don't worry! Thats why i'm here to teach you all about it! On Der Reise, you may have seen it. On real life Documentry's you could have seen it. But this post is going to extend you're knowledge all about it! So, what exactley is the Fly Trap? The Fly trap is also 'named' Die Glocke, Which is German for 'THE BELL'. It is a type of scientific device was used by the Nazi's as a ' Secret Weapon' or a ' Wunderwaffe'. Strange Right? It had became popular by A Military Journalist/ author, whose name was Nick Cook. It was described by a polish man named Igor Witowski. Also, It had became even more popularised by 'Joseph P. Farrell'. Farrell and many others describe it as Nazi Occultism and anti-gravity or free energy research. So, what does the flytrap look like? Sorry, if the picture isn't very good, but it's the closest i can get of the fly trap on Der Reise. Also, the things you need to do to ' play a game with Samantha ' Is as follows. 4) Use a grenade or shoot a few bullets into the control pannel. 6) All around the map there is 2 teddy Bears, and one Cymbal Monkey. I will PM him, and he will add to the post, instead of it being into little ' chunk posts'. If anyone else wants to Add anything just PM me about what you would like to add, remember it has to be about Der Riese and it's hidden things. Cool thread. I like the information on Nikolai Tesla. Yeah PureNinja is spamming us aswell, you could always to the Richtofen scene? Oh thats a good idea. I will use that when the time is right. Thanks guys, i just wanna be top ranked like alpha and the big boys :L thank you! If you won't I will. Have you ever noticed that I am always loading this rifle but never shooting it? Weird, huh? Ah, crows, i like the link in your sig and aiint a psg1 a sniper? not a rifle? Na it's me being a knobhead. Hence JFK on five when he buys the m14 : I'm an ideakist with a sniper rifle! im pretty sure die glock is the name of the teleporters and the 'DG' in wundawaffe DG2/3 - not the fly trap! 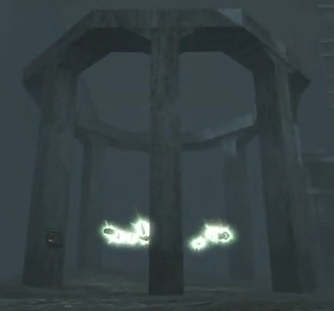 Die Glocke was the Nazi Bell, which looks very much like the teleporters. The fly trap, as you call it, is actually an area, in now Poland, near Breslau (coincidence?) and the name of it is "The Henge"